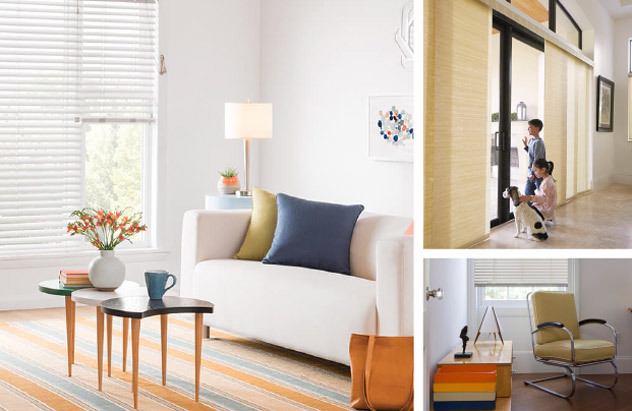 Serena smart shades by Lutron offer a wide variety of fabrics, colors, and textures for design customization. These custom automated shades offer beauty and industry-leading technology for your convenience. Available in roller and insulating honeycomb style, Serena shades feature a wide variety of beautiful fabric colors and textures to enhance the functionality and decor of any space. Serena shades feature industry-leading battery performance, and you can replace the batteries without taking the shade down - simply tilt the headrail forward. Set the perfect scene for any time of day. Raise and lower shades from anywhere in the room with a remote or anywhere in the world using the Lutron Smart Bridge and free app. !